This is a tasty, simple to make dessert. 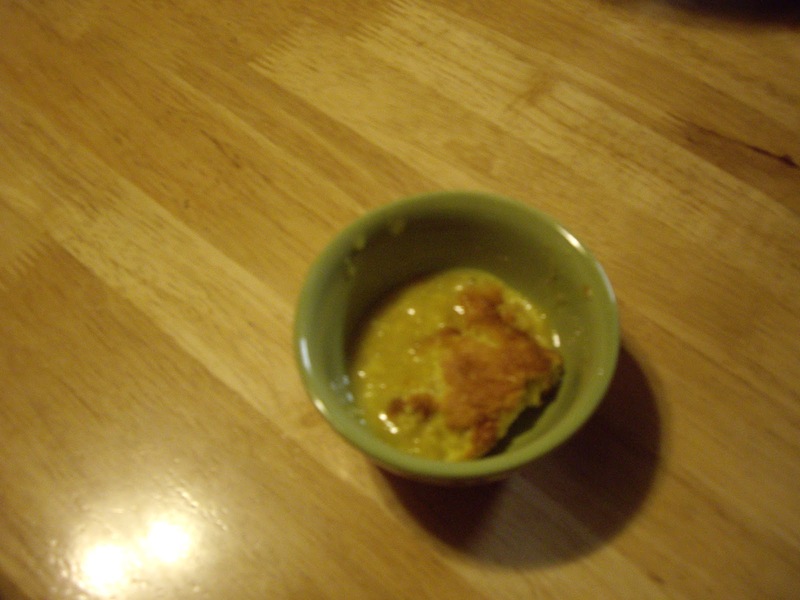 You mix it up and put it in the oven and you get cake on top of pudding. Preheat your oven to 350 degrees Fahrenheit/175 Celsius. You will need a 1 quart casserole. You will need a pan big enough to fit the casserole inside. Separate the eggs and put the whites into a bowl and beat with a mixer until the whites are stiff. In another bowl, combine the lemon juice, lemon zest, egg yolks, and milk. Beat well. Add the sugar, flour, and salt. Pour into the 1 quart casserole. Set inside the larger pan. Put both into the preheated oven. Pour very hot water into outer pan. It should be about 1″ deep. Bake until golden brown. This will take 40-50 minutes. Take out of oven and water. 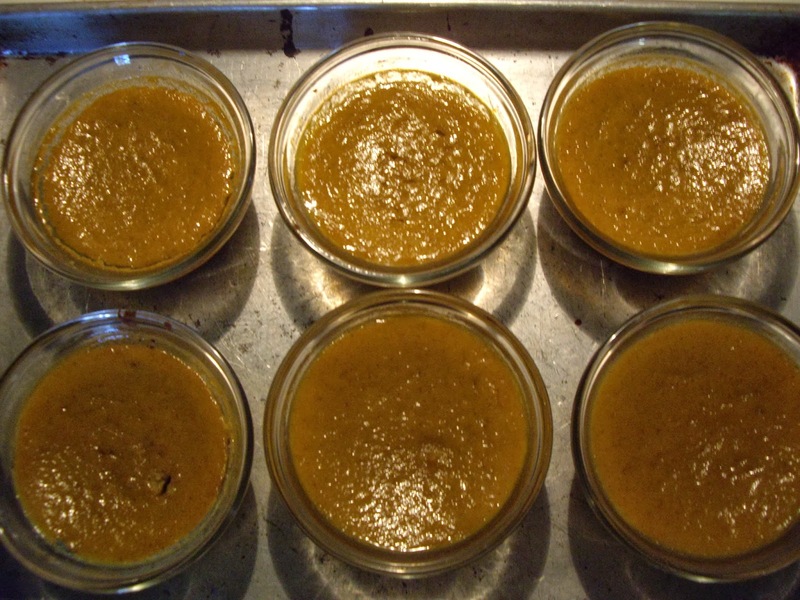 This is my recipe for pumpkin pie filling, just baked in a casserole with no crust. This is a great way to go gluten free without having to have special flour too. You will need a 1-1/2 to 2 quart casserole dish Or 6 (6oz.) custard dishes. You will also need a 2 quart saucepan. In your saucepan, combine the pumpkin,brown sugar, cinnamon, cloves, and salt. Heat and stir over medium heat just til mixture comes to a sputtering boil. Turn down to a simmer and keep stirring for 3-5 minutes until the pumpkin mixture has thickened somewhat and is shiny. Pour into a large bowl and mix in the milk and than add the eggs one at a time. Stir, or beat with mixer, while you are adding the milk and eggs. Pour the custard into the casserole dish and bake for 45-50 minutes or into the individual custard dishes and bake for 30 minutes. Check after 30 minutes for the casserole or 25 minutes for the custard dishes. Insert the tip of a knife into the center of the custard and if done, the knife will come out clean. It will be wet but have no custard clinging to it. Since there is no crust for any of the liquid from the filling to absorb, there may be some liquid rise to the top of the custard. It may go away during baking and it may not. If it doesn’t and you don’t want it there, when the custard is cool blot the top of it with a paper towel. 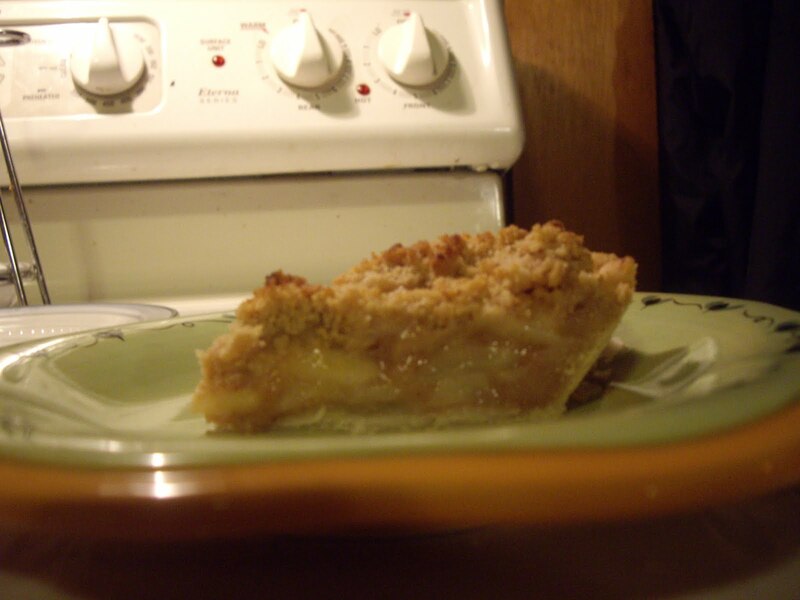 If you have never had pear pie before, you are in for a treat. 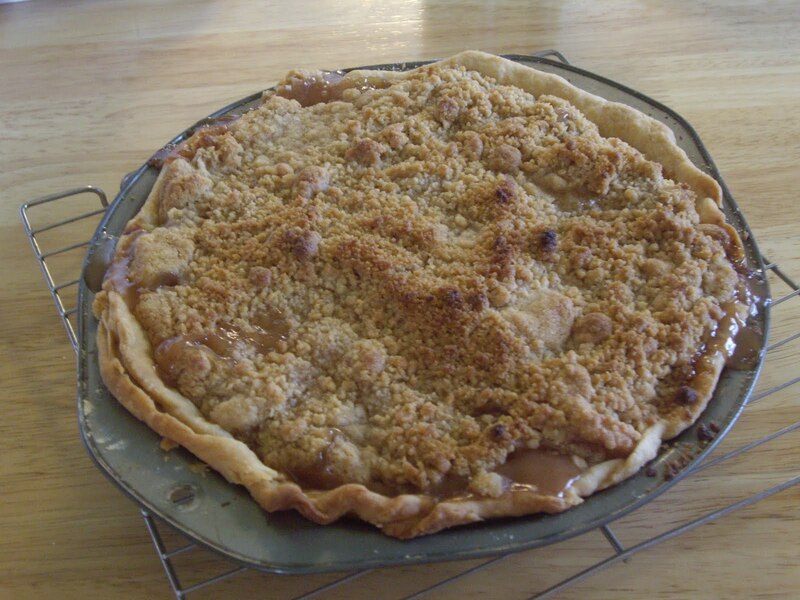 It is similar to apple pie, but there is that subtle difference that says pear. 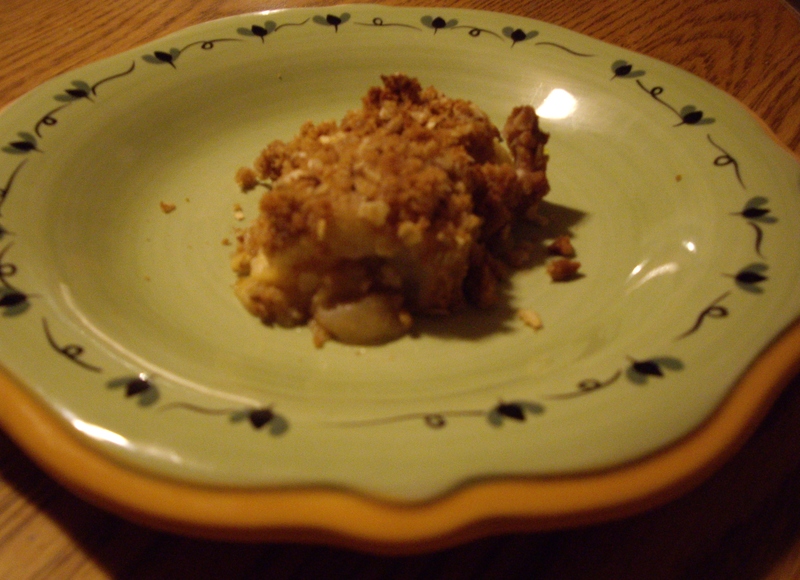 This version of pear pie has a streusel topping instead of a top crust. You will need a 9″ pie pan. 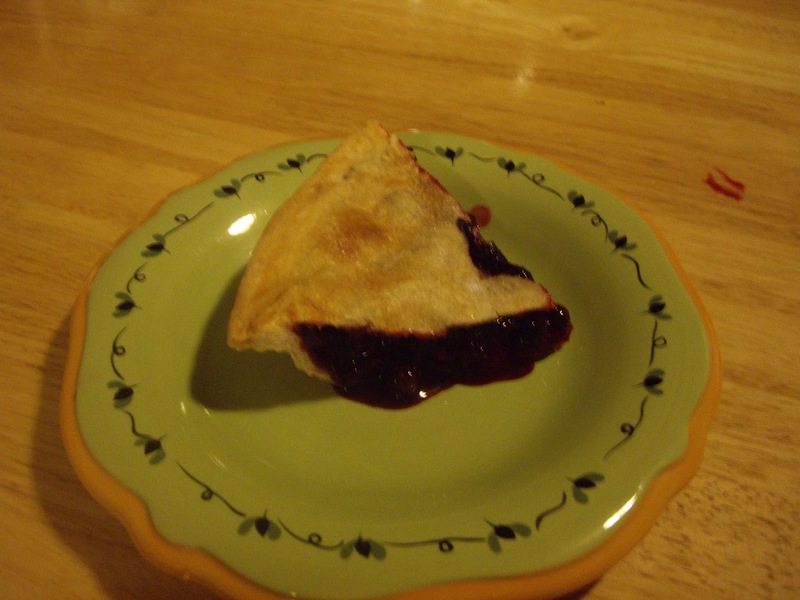 Make pastry and put into pie pan. In a large bowl, combine the flour, sugar, salt, and 1 teaspoon cinnamon. Add the peeled and sliced pears. Mix to combine and add them to the lined pie pan. Dot with the 1 Tablespoon butter. In another bowl,Mix the 1 cup flour, brown sugar,1/4 teaspoon cinnamon, and the nutmeg. Cut in the 7 Tablespoons butter until the mixture is crumbly. Stir in the nuts if you are using. Sprinkle this over the top of the pears. Bake at 450 degrees for 10 minutes. Lower the temperature to 350 degrees and bake for another 35-40 minutes until the pears are tender. 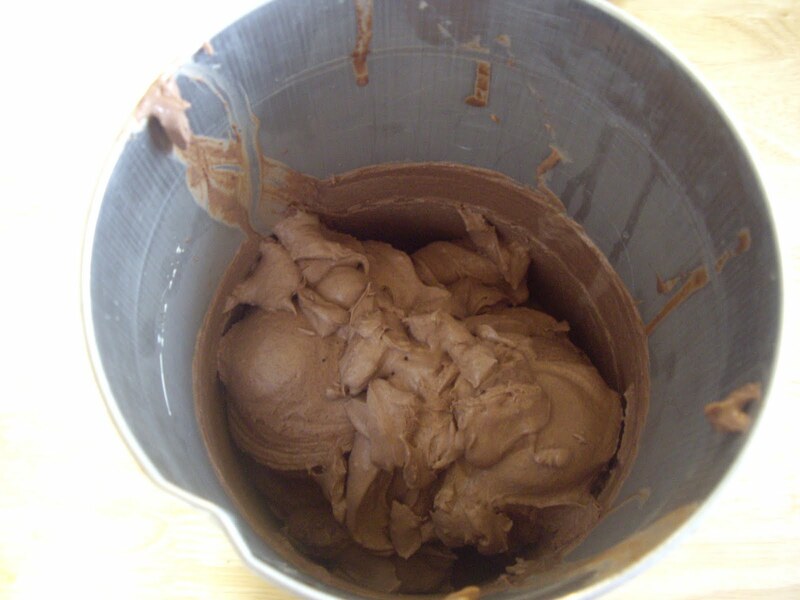 This is homemade chocolate ice cream that is so chocolaty, that it would be hard to find one that is quite so rich. So, if you like an ice cream that slaps you in the mouth and says “Chocolate!” than this is for you. This is Philadelphia- style ice cream. Meaning it is entirely cream based. It has no eggs in it. You will need an ice cream freezer for this. In a 3 quart saucepan heat the cream to boiling. When it has reached the boiling point, turn the heat down to low. Add the sugar, chocolate, and cocoa powder. Stir constantly until everything is blended together and smooth. Remove from the heat and transfer to a bowl. Pour into your ice cream freezer and freeze according to the directions. Makes 1 quart of rich chocolate ice cream. I love eating mine sprinkled with cashews. This cake is awesome. It is very moist. I love to serve this frosted with sour cream chocolate frosting. This cake is so simple to put together. Just put everything in a bowl and beat it up. 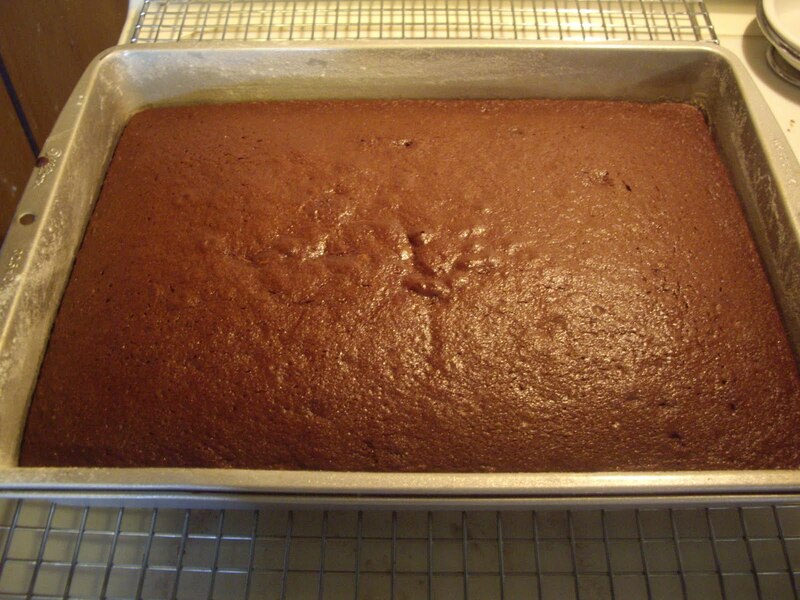 You will need 2( 8″ or 9″) round cake pans or 1 (13″x9″) cake pan, greased and floured. Put everything into a mixing bowl and beat, with a mixer, on low speed for one minute. Beat on high speed for three minutes. Pour the batter into the pan or pans. Bake for 40-45 minutes until cake tests done when checked with a toothpick. 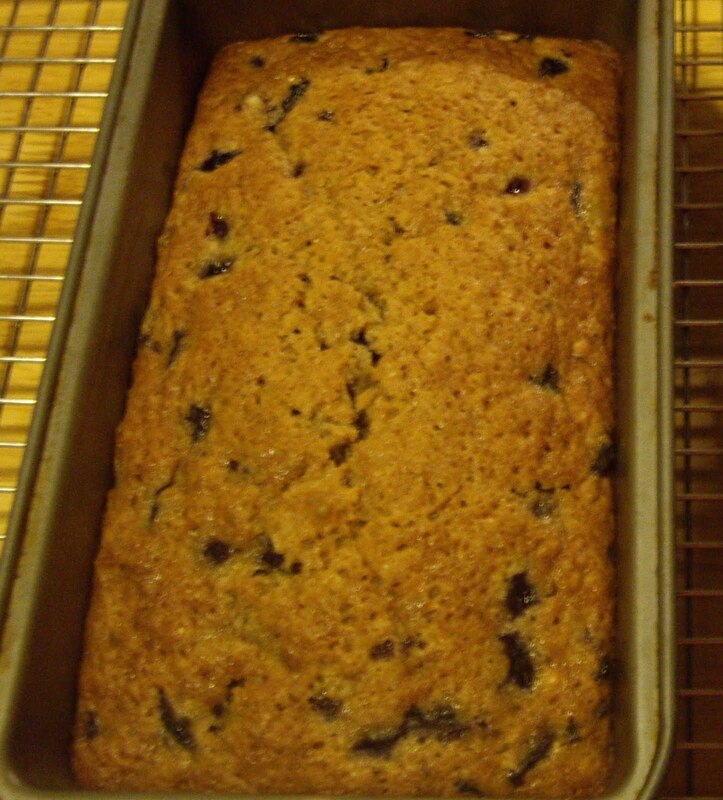 This quick bread is chock full of blueberries. It is also a very moist bread. Not flavors you normally think of together. However, it works well. Tastes great with fresh or frozen blueberries and zucchini. You will need two 9″x5″ greased loaf pans. 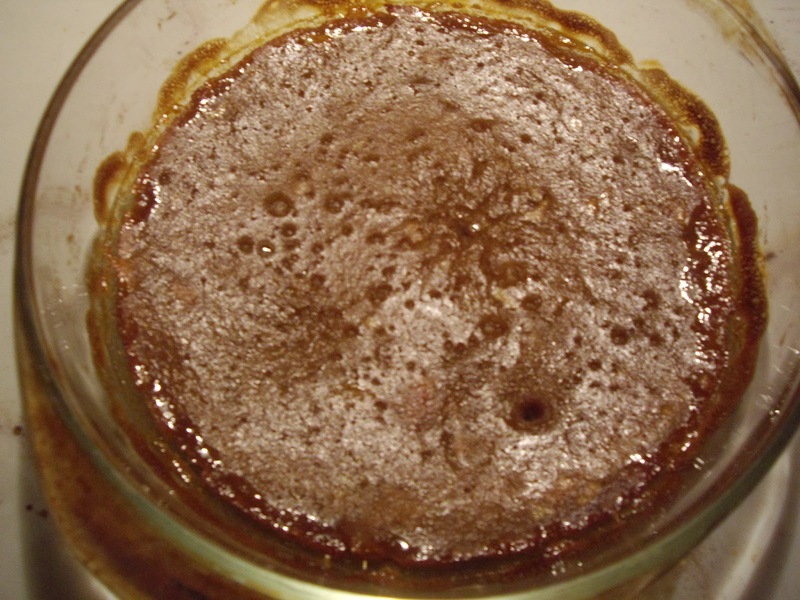 In a large bowl, beat together the oil, eggs, vanilla extract, and sugar. Stir in the flour, salt, baking soda, baking powder, and cinnamon. Divide the batter evenly between the two loaf pans. Bake for an hour until the bread tests done by inserting a toothpick in the middle. Let the breads rest for 30 minutes in the pans before loosening and turning out. If you take it out too soon, the bread will fall apart. 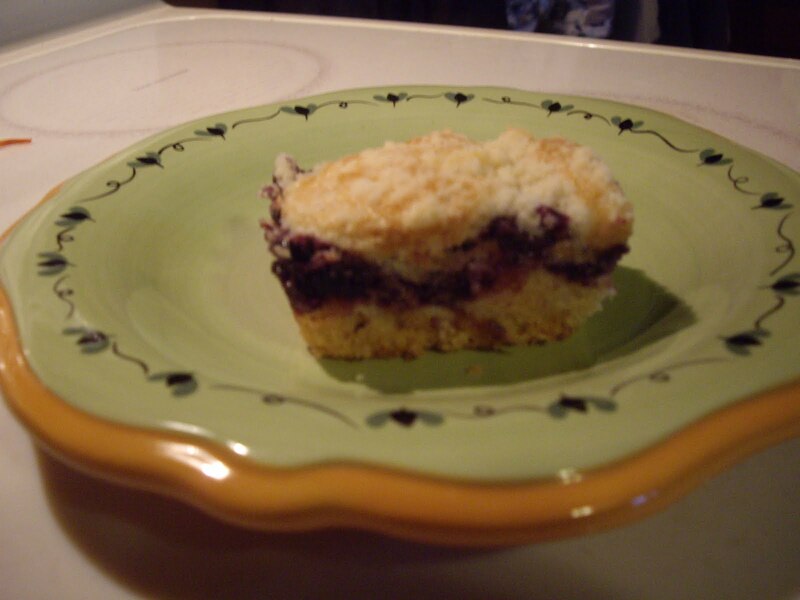 You can use many different fruits for this coffee cake. I used blueberries because I grow them and we had plenty. You will need an 8″ square pan. In a saucepan, combine the fruit and water. Bring to a boil and reduce heat. Simmer for 5 minutes, unless you are using the raspberries. Do not simmer those-they fall apart. Combine the 1/4 cup sugar and the cornstarch and stir into the fruit. Cook and stir over medium heat until mixture is thick and bubbly. Cook and stir 2 more minutes. In a bowl, combine the 1-1/2 cups flour, 3/4 cup sugar, baking powder, and baking soda. Cut in the butter til you have coarse crumbs. In another bowl, beat the egg, buttermilk, and vanilla extract. Add that mixture to the flour mixture and stir just until moistened. Spread half the batter into baking pan. Spread fruit mixture over that. Drop remaining batter in mounds atop the fruit filling. Mix together the remaining sugar and flour. Cut in the 2 Tablespoons butter til you have coarse crumbs. Sprinkle that over the coffee cake. Bake for 40-45 minutes until golden.